On Sept.13, 2018 former Niles North student athlete, Brent Novoselsky, came to the pregame team dinner to motivate, inspire, and voice his experiences to the boys JV and Varsity football teams. Brent Novoselsky graduated Niles North High School (NNHS) with the class of 1984. 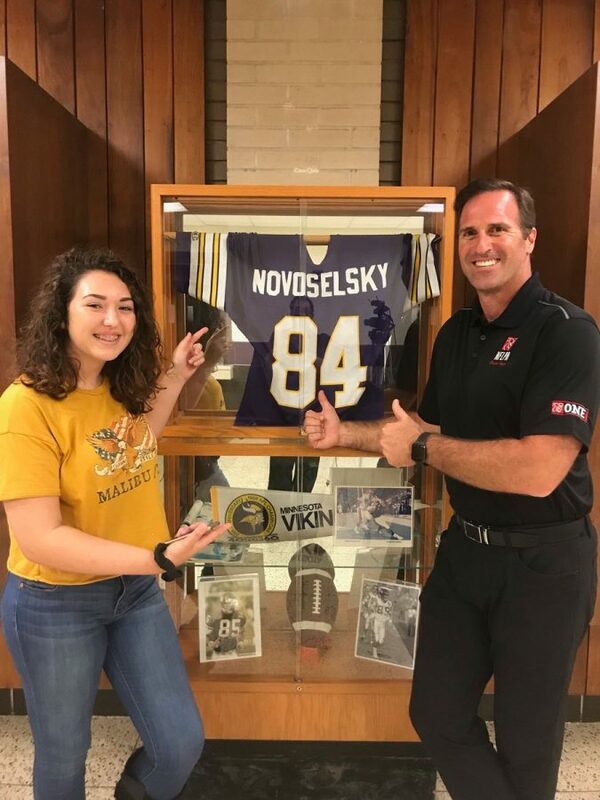 Not only a former student athlete, Novoselsky was a former professional tight end in the National Football League. Novoselsky grew up in Skokie, Illinois and living in a suburb of Chicago he regularly attended Chicago Bears games. A childhood dream of his was for one day to play for the Bears. In 1988, shortly after graduation Novoselsky signed as a free agent to the Chicago Bears. In 1989, after the first game of the season, the Minnesota Vikings picked up Brent Novoselsky. “My most defining moment in the NFL was my first year with the Minnesota Vikings,” Novoselsky said. Novoselsky goal as a student was to get the best education he could get and to be the best person possible. During his high school years he earned all-conference honors in both football and baseball. Brent Novoselsky not only cared about his passion in sports, school and academics played a big role. Novoselsky attended University of Pennsylvania Wharton School of Business where he continued his education knowing football wouldn’t last forever. With the frequent thought of knowing football wouldn’t last forever came sooner than later in his career. In November 1994, Novoselsky sustained a career ending neck and shoulder injury. Following Brent Novoselsky’s inspirational talk to the boys JV and Varsity football teams, Viking Media was able to capture an exclusive interview with him. To view this interview check you the link below.